I love any thing that spells good especially toys. It brings back childhood memories for me. I was an eighties baby and grew up in the time of scented sticker, toys and markers. It brings back great memories I had all things scented when I was a kid. 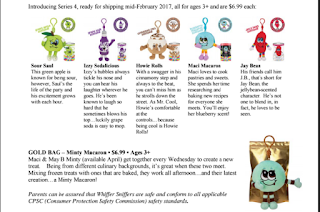 Whiffer Sniffer's makes scented back pack clips. When I say scented I mean scented. They smell amazing! 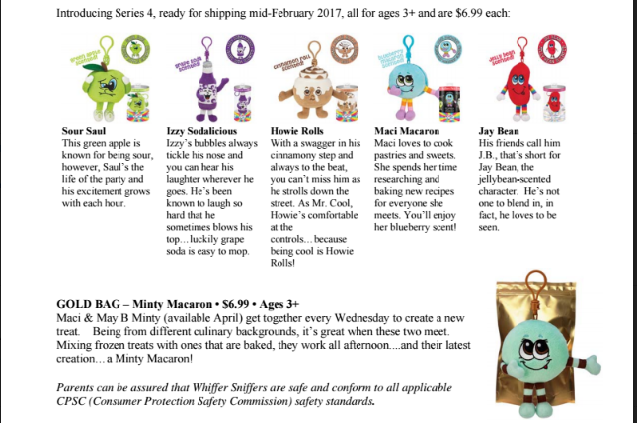 Whiffer Sniffer's just released the first part of the Series 4 Collection and will be retiring some of the older scents.. 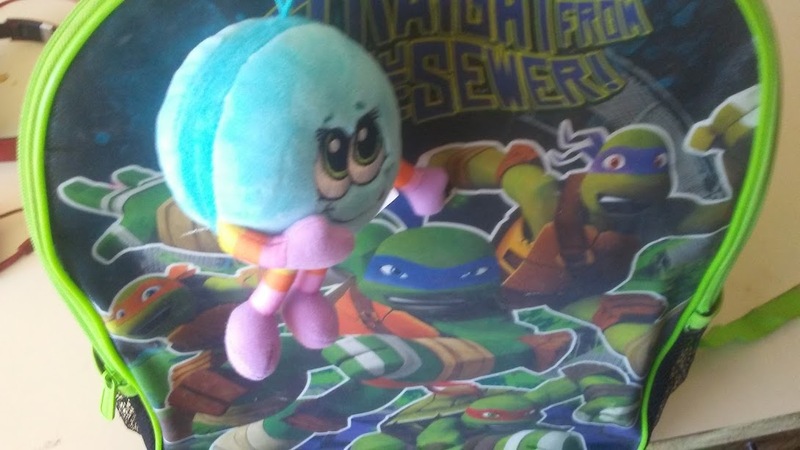 It includes eleven scented pals. The mystery packs will also be available. Try your luck and purchase a mystery set. You get the one pictured that is super rare, or a regular great Whiffer Sniffer and you may even get a gold bag. Our favorite was the mystery set we got the Maci Macaron. She smells so sweet and is bright blue colored. My son Gavin wanted her for his back pack. Christian Chose Grape Soda Izzy Sodalicious characters. My daughter likes them all! She had to have one to clip on her preschool bag to she liked the Cinnamon Bun scent Names Howie Rolls. Series 4 also includes a new collectible series of sticker and a sticker collection album to store them in while collecting and trading. Ebay enthusiasts, children and alike find appeal in collecting, trading and enjoying Whiffer Sniffer's. They make the perfect Easter basket stuffer with the bright colors, great scent and small size they are perfect for baskets. 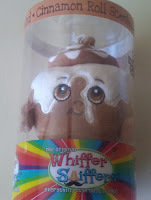 Your child will enjoy trading, collecting, sharing and enjoying Whiffer Sniffer's.